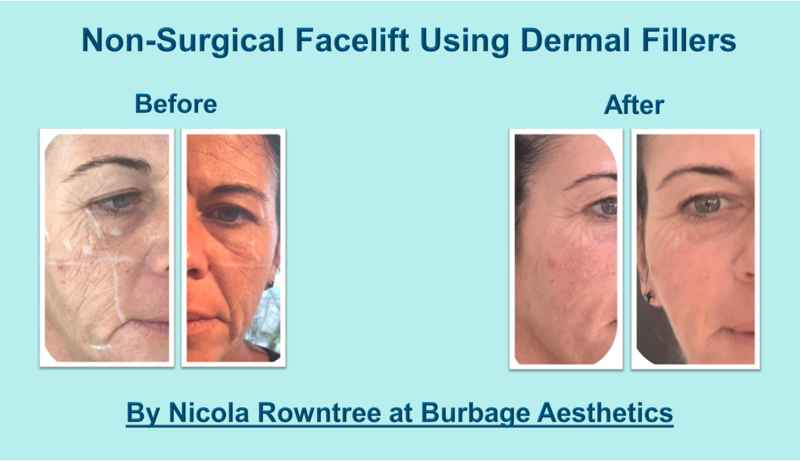 If you want to improve your appearance, but are unsure about surgery and all the risks that come with it, a non-surgical facelift could be the answer. Although it sounds like a contradiction in terms, a non-surgical face lift is exactly that, a number of procedures that, when used together, give the face the appearance of having been lifted and rejuvenated. 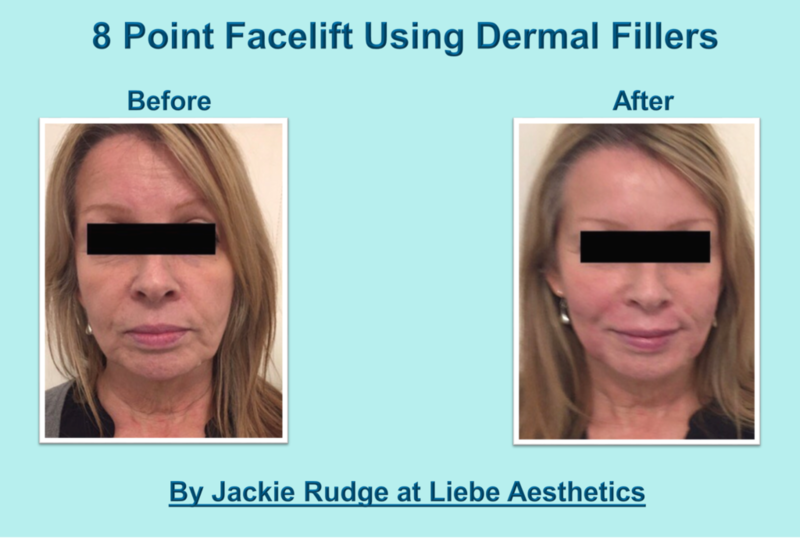 By restoring volume lost through age with dermal fillers, relaxing wrinkles with botulinum toxin injections, and improving the appearance of the skin with medical needling, laser, IPL or chemical peels, or prescription skin care. 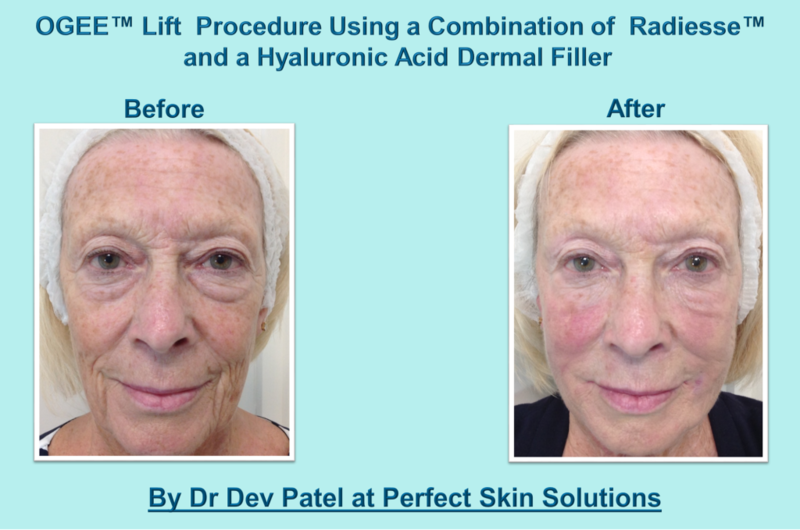 Non-surgical cosmetic practitioners truly can transform a face that has suffered from the effects of ageing. As we age, the structures of our face change, not just the quality of our skin, but also the underlying support, including the skull, muscles and fat! This causes the face to shrink in some places, fat and muscle descend with gravity and the skin having become thinner and less elastic, no longer ‘fits’; all these factors conspire to create that sagging, drooping appearance of the older face. When the skin’s elasticity declines, instead of bouncing back to its original position after various facial expressions, lines and wrinkles will start to appear and stay in place as a permanent feature. Non-surgical cosmetic procedures, can be used to address the key factors and features of an ageing face. By restoring lost volume in the mid face, and youthful contours on the cheeks, temples and jawline, the face appears lifted. 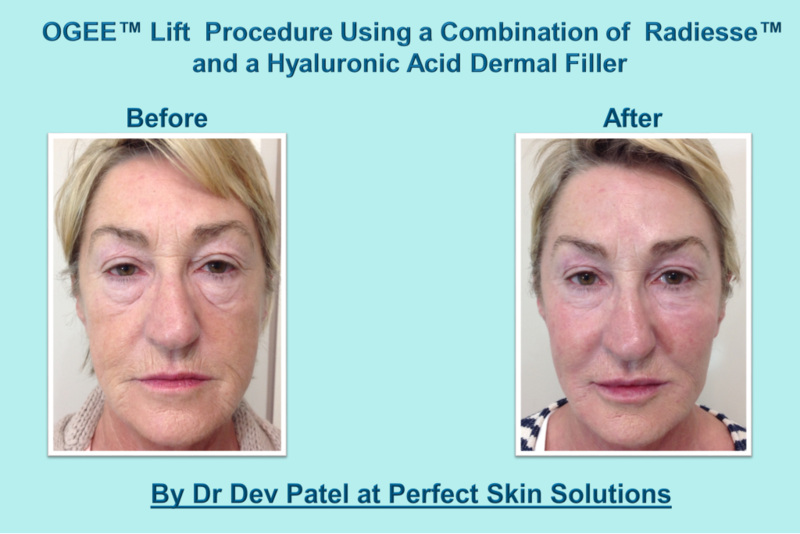 Dermal fillers are the treatment of choice for this result, but for some patients, results can be achieved with ‘thread lifting’ procedures. For those who prefer not to have injections, skin tightening and muscle tightening treatments using radio frequency or ultrasound may be a good option. 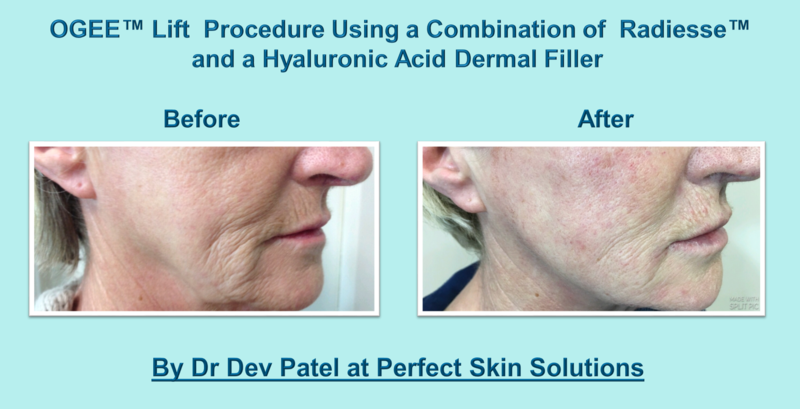 For more information on dermal fillers please click here. 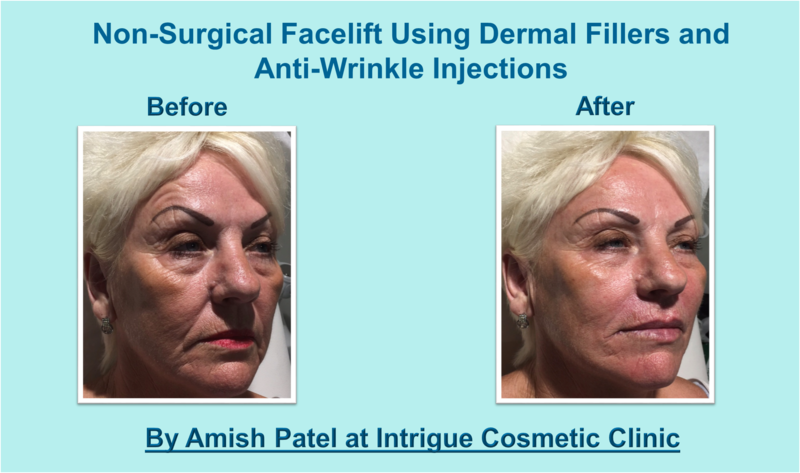 Having improved the contours of the face, lines and wrinkles may be further improved with dermal fillers, or wrinkle relaxants such as botulinum toxin (commonly referred to as Botox) injections which work by blocking signals from the nerves to the muscles, preventing them from contracting and creating expression lines such as the frown crease or crow’s feet. 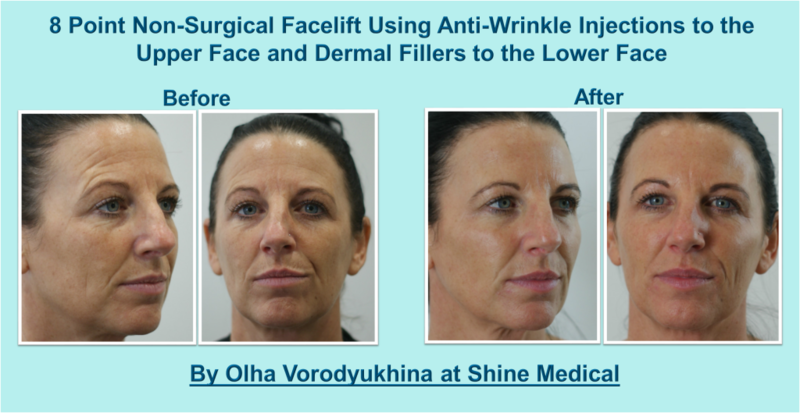 For more information on botulinum toxin please click here. Botulinum Toxin (Botox) Injections - After treatment it is expected that you will start to see an improvement within 2 or 3 days. The full result may be judged at 2-3 weeks. You may be invited to attend a review appointment at 2-3 weeks where the success of the treatment may be assessed and adjustments to your personal treatment plan made, if necessary. 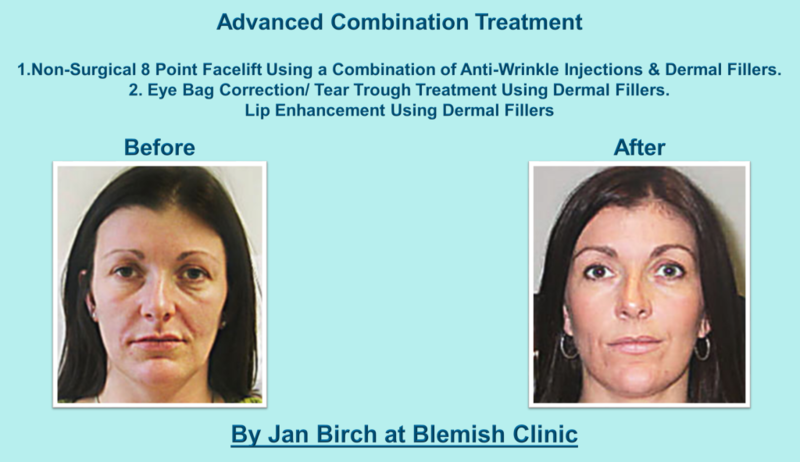 For more information on botulinum toxin please click here. There are a number of medical conditions and or medicines that may affect the decision to treat or the treatment plan. A full medical history and assessment of your expectations is necessary in advance of any decision to treat. For Botulinum Toxin this must be a nurse, doctor or dentist with specialised training, qualified to prescribe. 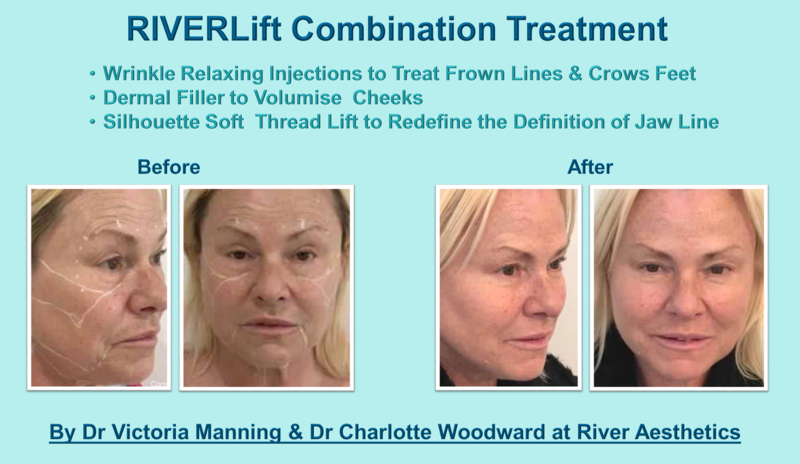 For full details please visit our Dermal Fillers and Botulinum Toxin treatment information pages. It may not ‘completely freeze’ the expression, particularly if extreme effort is exerted to make an expression. Botulinum toxin is not suitable for lines present without expression (static lines), your practitioner will advise you. For full details of the aftercare advice for each treatments please visit our Dermal Fillers and Botulinum Toxin treatment information pages. For full details of the risks and side effects of each treatments please visit our Dermal Fillers and Botulinum Toxin treatment information pages. Cheap Botox - But at What Cost?